As a third generation realtor, the role of Licensee was a natural step for James Twiss. James’ father Geoffrey founded Geoffrey Twiss Realty in the mid 1980’s and James has been involved ever since. Born, bred and educated in Christchurch and Rangiora James has a passion for both the city and North Canterbury. It is James’ belief that clients for life, through the finest service, is the most important driving force in the success of Twiss Keir Realty and Harcourts in Canterbury. Therefore, Twiss-Keir must continually strive to provide the best service in the market, not only to overcome competition, but to achieve our clients desired results. James is proud of Twiss-Keir’s strong history in Canterbury, with a unique ability to service rural, lifestyle, commercial and residential clients. 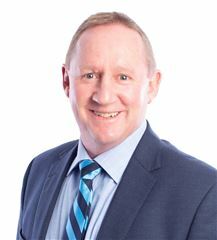 With an extensive career in Real Estate spanning 25 years, John is presently Branch Manager at the Harcourts Four Seasons Rangiora branch, extending five years. 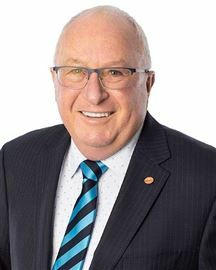 In addition to his vast experience, he is also well qualified with a National Diploma in Real Estate, and is also an Associate member of the Real Estate Institute of New Zealand. His leadership style is to encourage and support the team to be the best they can be. This is evidenced by a workplace culture that people genuinely want to be part of - a positive environment integrating honesty, transparency and maintaining open lines of communication with every team member. Other collective attributes of John include a practical approach, attention to detail, as well as a genuine passion for Real Estate. If you are looking for some professional Real Estate advice or you are considering a career in an exciting, rewarding industry, give John a call today for a confidential chat. Loyalty, dedication, and a real commitment to ensuring the success, development and on-going growth within Twiss-Keir Realty are just some of the things that come to mind when you think of Penny Lovell, Business Manager and business owner. 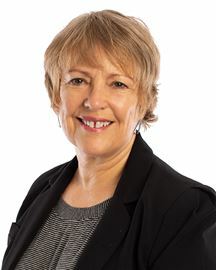 Beginning her career with Twiss-Keir as an office administrator in 1990, Penny was involved in the introduction of Property Management within the company, where she started to build the rental roll and implement the first systems and procedures which have continued to grow and adapt over the years. 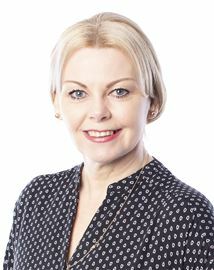 Penny is a licensed sales consultant and was actively involved in sales, before evolving into her current role as Business Manager where she oversees the day to day running of the business and works closely with the administration team, property management, sales people, office managers and the company directors. Somewhere in between these roles, whilst still working within the company Penny managed to fit in having two sons, whom along with her husband she shares an active lifestyle, full of sport, friends and family. Amanda is originally from the UK, from a small village on the River Thames known as Goring-on-Thames, sixty miles outside of London - the famous ‘gap’ in the Chilterns, dating back pre-Doomsday Book. Amanda now lives in Pegasus but also keeps up her interests in a spare moment, her favourite pass-time, her horses; affectionately known as her “paddock children.” Community involvement is another part of Amanda’s character and you will see her sharing her knowledge with keen riders, using her array of skills and qualifications which she acquired from the British Horse and British Driving Society, as and when she can, especially at the local North Canterbury Riding for the Disabled. A 30 acre subdivision, which Amanda completed, has added another facet to her knowledge of real estate and coupled with her experience as a landlord in the UK, she has both the knowledge and expertise to help clients no matter what their needs, from developers to investors to ‘lifestylers’ to residential clients, buying or selling. 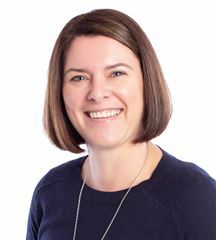 With a focus on delivering high quality to her clients, Amanda is also highly motivated and looks forward to helping people to achieve their own desires and aspirations. 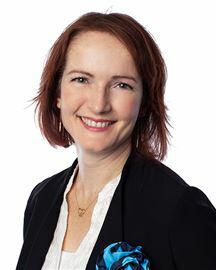 “I truly believe that a partnership is sacred regardless of its origin”, says Amanda, who prides herself on following a job through from start to finish, ensuring in no matter what she is doing that the best possible results are achieved, something that is sure to hold her in good stead throughout her real estate career. Local. Professional. Committed. April is local, being born and breed in North Canterbury. She comes to real estate from a background of owning her own “award winning” home improvement business. The key to her past success was the exceptional level on customer service she drove through her company from the top. Working hard, staying focused and achieving results are all things that have been ingrained in April from her successful business background. With an easy-going nature and being readily available and accessible makes her a top choice for both existing and new clients. If you are looking for a Real Estate agent who will listen to what you want and then implement what they say they will – look no further! Chris began selling real estate in North Canterbury in late 2009 with a local company and rapidly became very successful in the areas of Lifestyle and Residential. Chris enjoyed the accolade of being the top seller in Lifestyle for the company in the South Island from 2011 to 2014. 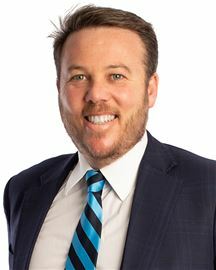 Now with Harcourts Twiss-Keir Realty, Chris has a vehicle through which to deliver his proven sales practices, grow his team and you can benefit from engaging him. Working effectively with seller and buyers, Chris and his team have established successful methods for matching people to property. He is dedicated to making your sale and purchase as smooth and stress free as possible. Repeat and referral business is something which Chris appreciates and are core elements of his operation. Chris enjoys established and attested systems for delivering smart, timely and professional processes that really work for you. Specialising in both Lifestyle and Residential sales, Chris’ cross-over business areas and broad reliable knowledge proves invaluable for clients. You may ask yourself “what does it matter what accolades and experience a real estate agent has and how is that going to help me?” Well results do matter, as without a true commitment to their clients, and the drive and determination to achieve top quality and consistent results, then these accolades don’t come, especially within a large real estate company with hundreds of sales people competing for the top honours. Gary McNicholl has this drive and determination, and combined with integrity, professionalism and twelve years experience in the industry, you are sure to get results second to none, each and every time. With a background of 30 years in sales and marketing Gary has built up a huge array of skills ideal for the real estate industry, and backed with the extensive specific industry training he has received, it is little wonder he has become so successful. Honesty is another of Gary’s attributes, and this is something you will grasp from the moment you meet him. “I offer my clients plenty of space, I am there to offer them expert advice and ensure they receive exactly what they need, but within the boundaries they set me”, says Gary. “I work very hard for my clients and will go the extra mile to sell, but I don’t believe in pressure selling, it needs to be an informed, well made decision for all parties, and I believe this is how the best results are achieved”. Another of Gary’s real passions is his commitment to the community he lives in. 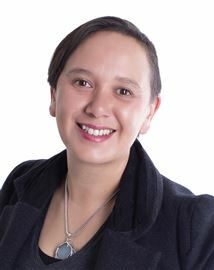 “I love North Canterbury, and I am passionate about giving back to the community you live in in the ways that you can”. As testament to this, Gary is heavily involved in sport throughout the region and is currently President of the Saracens RFC. He is also a life member of the Southbrook Cricket Club and a past chairman of the Southbrook Community Sports Club, and has also served as Secretary/Treasurer. With an enormous amount of contacts throughout North Canterbury, Gary brings to his clients a huge amount of opportunities and coupled with Harcourts extensive networking system and the on-going training and support of the Harcourts team, Gary’s already successful career is sure to get even brighter, which of course will mean even better results for his clients. 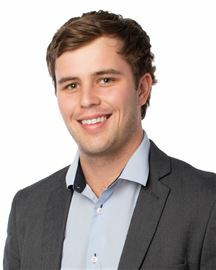 Jeff started his Real Estate career in 2012 with Harcourts Rangiora, successfully specialising in Lifestyle properties and the Oxford area including residential. From a farming family background, Jeff has a deep rural affiliation having spent many years dairy farming and has owned a lifestyle property for a number of years. As such he has an excellent understanding of what’s involved in the ownership and operation of rural property. 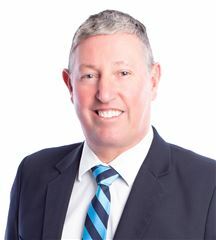 Having recently returned to Harcourts Rangiora after spending time with family in the North Island, Jeff is again ready to solve your Real Estate problems and help you find that elusive dream property. Whether it be a rural or residential home you desire, Jeff and the team will sort it for you. Backed by the most powerful brand in the real estate industry, Jessica brings with her a genuine, sincere approach and down to earth attitude. Jessica’s strong drive for success which is balanced with her open and natural manner will fit well within the established Harcourts team. Drive, passion and enthusiasm are not just words to Jessica but rather they are part of her natural self. Her background in hospitality and managing people in her role as a Head Chef, has given her exceptional time management and organisational skills, and Jessica looks forwards to bringing these skills into the real estate industry. 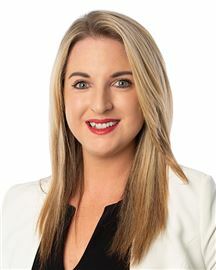 Along with the vast resources Harcourts provides, and her recently gained real estate qualification, Jessica is looking forward to managing and identifying buyer’s property requirements, ensuring buyers are well positioned to make informed decisions. Jessica enjoys the support and backing of her family and is looking forward to providing an experience for her clients that will leave them at ease and satisfied with their Real Estate decisions. 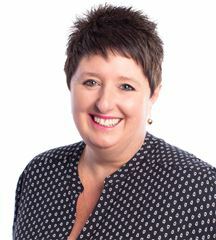 Karen joins Harcourts Twiss-Keir Realty from a long and varied hospitality career. Having worked in the family business for many years Karen has formed outstanding skill set and work ethic. Hospitality is by nature about striving to ensure people’s needs are met – something Karen excelled at during her time in the family business. She gets satisfaction from seeing happy clients and customers – it’s what keeps her driving for the best possible outcome in all her transactions. 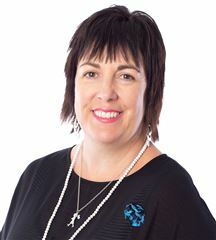 Having lived in Rangiora all her life, Karen has strong connections with the North Canterbury community with vast networks, unrivalled by most, which combined with her knowledge of the region is a recipe for success. 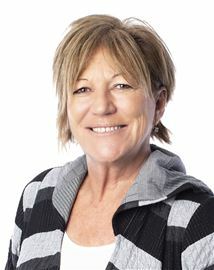 Karen knows trust plays a big role in business and is certainly held in high regard by people in North Canterbury. The same can be said for a strong work ethic. Karen believes "It’s about trust, working hard and going that extra mile, keeping in contact and showing I care both about my client and their home. That’s what important to me”. 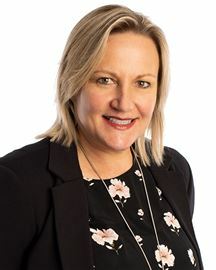 Karen saw Harcourts as the perfect fit for her next career move offering brand strength, training and support second to none in the industry. 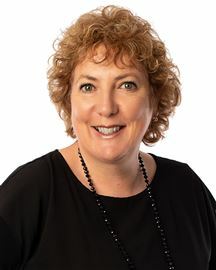 In Harcourts, Karen has the support of the number one most trusted real estate brand in New Zealand three years running. If you are looking for a salesperson who will work hard, you can trust and deliver you results then look no further than Karen. Give her a call if you are thinking of buying or selling you won’t be disappointed. With the motto, "it's not just a job, it's a lifestyle", it is no wonder Lisa Tippen consistently achieves top results for her clients, something that is evident in her career which spans over 19 years. Lisa is passionate about real estate, and you notice this as soon as you meet her, she has a sparkle in her eye when she talks about her career and the results she has been able to achieve for her clients. "I really get excited when I place the right property with the right person. It is a real sense of achievement to help people through what can sometimes be a daunting process, and see the smile on their faces at the end". A tough negotiator, Lisa is determined to achieve the best results for clients. "It's not over until I give up", she says, "and being tenacious, that can sometimes mean long negotiations until I can get what my clients want". Treating her clients as if they were family, and with what has sometimes been described as 'the patience of a saint', Lisa has many clients for life, who reward her with continued repeat business. "The best reward for me is when a client comes back to me, or refers their own friends and family to me", she says. 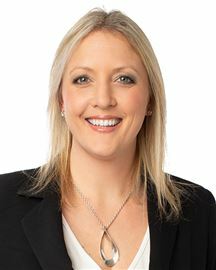 As part of her commitment to consistently achieving for her clients, Lisa has completed her National Diploma in Real Estate and graduated in May 2014. "I believe that you can always strive to achieve even higher, and completing this certificate is part of me ensuring my clients are being offered the very best service, knowledge and expertise within a very competitive industry". Lisa and her husband Simon, live between Waikuku and Christchurch with their thirteen year old daughter, Chelsea. "I enjoy the challenges of parenting", says Lisa. "If I struggle to get Chelsea to do anything I often find myself saying, It's all in the way you SELL it to her". Results that speak for themselves .... Lyn has lived locally for over 35 years with over 15 years working in Real Estate. Over that time she has enjoyed life as a Publican and later running her own sales, marketing and distribution business. Needing a challenge in life, Lyn turned to real estate, a career path she had always wanted to pursue. When it comes to Real Estate – “the proof is in the pudding.” Lyn Stringer’s results speak for themselves. 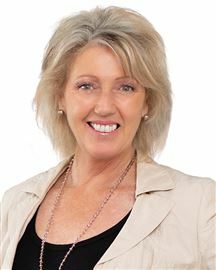 Over the last few years she has achieved great success, achieving Top Salesperson for the Rangiora office on several occasions and has SOLD over 40 million dollars of real estate. “It gives me pleasure to be part of peoples’ dreams, finding that special home and building towards that dream home - their biggest asset.” says Lyn. She is dedicated to looking after her clients needs and committed to finding a home to suit her buyers. Lyn enjoys working with clients from all walks of life and deals with all types of properties, both residential and lifestyle and in all price ranges. Currently Lyn has a large number of buyers on her books and should you be considering selling your home, she may have just the buyer! Whether buying or selling Lyn is always delighted to help. Wanting to sell/buy your business, you will be in safe hands with Malcolm. Having recently joined Twiss-Keir Realty, NAI Harcourts, Malcolm's wide ranging first hand business experience makes him an exceptionally valuable asset to our team. He has operated six different hospitality operations as General Manager/Director. 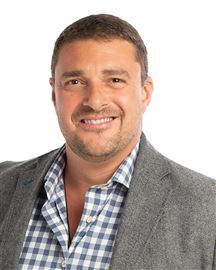 He has a strong financial background having managed multi-million dollar turnovers and he’s headed up his own business plus over 10 years experience in sales and marketing with Lion Breweries, Independent Liquor and Scottwood Gaming Trust. 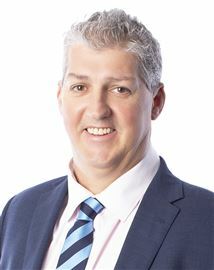 Malcolm recently moved into real estate wanting to utilise his 25 years experience and skillset to help clients reach their property/business goals. From start ups to established businesses, Malcolm completely understands the finer details and complex nuances of business. His wealth of experience and knowledge, along with his passion and enthusiasm for business and real estate, are seeing him become Canterbury’s go-to consultant for business, hospitality, commercial sales and leasing. Malcolm lives in Rangiora with his wife Kym and son, plus two daughters nearby. His is passionate about all things rugby, having represented his region and province. He also enjoys meeting with clients for a quiet drink to discuss their business needs. Malcolm’s seen Canterbury develop since 1988 when moving here and also emerge from the 2011 earthquakes, with positive business developments. Contact him to discuss your goals and discover how he can help you achieve that dream. Marie’s strong personality and excellent people skills are exactly the right formula for an excellent real estate agent. With nine years in real estate she is experienced in the art of selling houses, lifestyle blocks and has also been involved in selling sub-divisions. Marie is an honest, reliable person who is more than happy to go out of her way to find and sell your dream house. After starting out in the Rangiora office, where she worked and gained valuable experience, she decided to move into Christchurch. This gave Marie a chance to gain more clients and valuable experience in both Christchurch and Rangiora. Attention to her clients and the ability to communicate at all levels are qualities on which Marie prides herself. She believes “the key to success in residential sales” is to identify the special features of a particular property being offered for sale and marketing them fully to the buying public. Real Estate has given Marie a chance to take advantage of the ongoing training that Harcourts offers, thus giving her more confidence and better communication skills, which in return reflects the positive way she deals with her clients. Marie is married to Bob who is a deer farmer in North Loburn. Marie and her husband have three children and five grandchildren. Away from work Marie is keen on tramping, crafts and developing her garden. After a number of years with family farming I decided to enter into real estate in 1994. I have found working in real estate to be very rewarding and am proud to work with such a professional and dynamic company along with their large resources, network, IT technicians and in-house design and marketing teams. What is important to me as a salesperson is being honest and listening to my clients needs. I love the challenge of matching people with houses, there is such a satisfaction in that for me. And it doesn’t stop there. The on-going support after a deal is done is an important part of my service. There are many questions when making a real estate transaction and I am there to help anytime of the day or night. It’s not just about selling your property and it’s more than just marketing, it’s the total package that counts! The ability to establish a rapport with my valued clients has been invaluable who reward me often with their repeat business and referrals. Selecting your real estate salesperson is crucial to your sales success. Whether buying or selling real estate your needs are important, from start to finish. I pride myself on service, integrity and my commitment to your needs. The Success Story Continues Sally has been successfully selling Real Estate since 1987. She began her career in Rangiora as a young woman, and quickly rose to the top of her field in an industry dominated at the time by men. 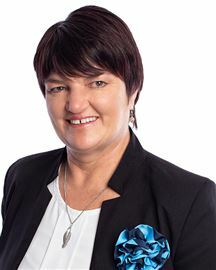 Working for several North Canterbury based companies over the years, she has always ranked in the top 5% of salespeople winning many awards and accolades. Sally's extraordinary track record and equally esteemed reputation is due to consummate professionalism, attention to detail and natural empathy with her clients. With her experience and integrity, her clients can rely on her to deliver outstanding results and to create the most rewarding Real Estate experience possible. 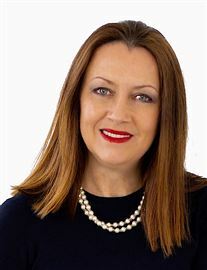 Getting Results For The Long Term - With several years involvement in the property industry, accompanied by an honest , professional and dedicated approach, Tania ensures success for her clients. She delivers 100% enthusiasm, commitment and support for every step in the process of buying or selling a property. Property will most likely be the biggest life decision for many people. Tania strives to make it an enjoyable, exciting experience with minimal stress for all parties involved. Tania is passionate about real estate and helping people. This is why you should seriously consider meeting her to discuss all your property decisions. She has a wide network of associates so finding a solution is only a phone call away. Tania believes that there's never a problem but only a solution, this is Tania's greatest asset. She has the ability to think outside the square time and time again to find the right solution for the situation at hand. It's all about getting results for the long term benefit. If you are a current owner, first home buyer or an investor wanting to expand your property portfolio, Tania is the person to make it happen and look after your real estate needs long term. Choosing Harcourts to underpin my real estate career was a simple decision because the core values that Harcourts hold align with Victoria’s own values •	People first •	Do the right thing •	Be courageous •	Have fun and laugh In the highly dynamic world of real estate, it takes a professional with a proven record of success and a full service, empathetic hands on philosophy to deliver the best results for her clients. Victoria has demonstrated her commitment to her clients’ time and time again in the sale of both Residential and Lifestyle Properties here in North Canterbury and Christchurch city. By choosing Victoria Thompson and Twiss Keir Harcourts you will have a dedicated professional team with an approachable results driven sales consultant. 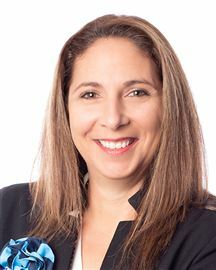 With a background in real estate and 7 years property management experience, Gina prides herself on offering a professional service to both landlords and tenants alike. With updated systems and procedures in place, you can ensure you are receiving the very best possible service and advice. Gina is passionate about property management and enjoys the variety and challenges presented within this role and understanding the importance of being well organised, attention to detail and clear communication is essential. I look forward to working with you in the future. Gordon has been working in and around the property market for 15 years, with 8 years experience as a Property Manager and has a previous background in Investment Banking. He is a born and bred Cantabrian, currently living in North Canterbury with his family. Having previously owned many rental properties in Christchurch through a syndicate, has given him first hand knowledge of both sides of the rental business. A mature, friendly and well organised individual, Gordon communicates easily with people from all walks of life. His practical approach to Property Management and extensive knowledge of housing will ensure you get the maximum return on your investment. 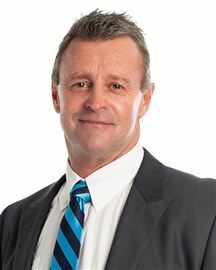 Gordon's role as Business Development Manager for Harcourts Twiss-Keir Realty is to bring in new rental properties and to get them let in a timely manner, at which point the experienced Property Management team takes over. Leeann has over 12 years property management experience and has looked after and maintained up to 500 properties at any one time. Through her vast experience, Leeann offers the very best possible service with dedication, drive and professionalism. Leeann has an outgoing, friendly personality and is always prepared to offer her advice and expertise to both landlords and tenants alike. People are Leeann’s passion and working in property management allows her to indulge this passion through her constant contact with landlords, tenants and the general public. Another facet of Leeann’s portfolio is the management of commercial premises, Leeann is proud to be an integral part of the Twiss-Keir Realty property management team offering her clients top quality service each and every time. 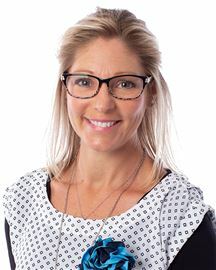 Leeann managed properties throughout the Canterbury earthquakes, situations which challenged her ability to cope with extreme situations and armed her with skills she has utilised within her day to day role. As part of the Harcourts on-going training, experienced property managers now have the ability to become Accredited, a very sought after accolade within the property management industry. Leeann is proud to have achieved this qualification. 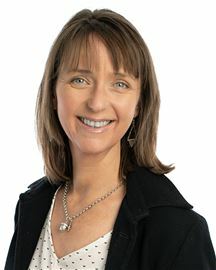 Rebecca is no stranger to real estate, having worked in the industry for the past 23 years covering a variety of roles including, desk top publishing – designing flyers, advertising (writing and designing), word processing, accounting, customer’s services - liaising with vendors, buyers, management, sales consultants and solicitors. Rebecca also holds a current Real Estate Agents License (held for 10+ years), which requires on going training annually. Build and Live the Dream! Takamatua .... Be In For Xmas! Put It In Your Stocking! A Secret No More - To Be Sold! Views to Fall in Love with! We Are On A Deadline To Sell! Time Was Short - Mind Made Up! A New Way of Life is Calling! Collapsed Sale - Buy Below RV! Easy to Love and Live! It Really is a HONEY! Decision Made - Time to fly! Their Goodbye = Your Good Buy! Mum and Dad Have Left Home! Walk to the Beach Everyday! Vendor Wants A Sold Sign! Last One Left, Be Quick!!! Enjoy a Wine on Wineberry! The Best of the 20's! You Win With This One!